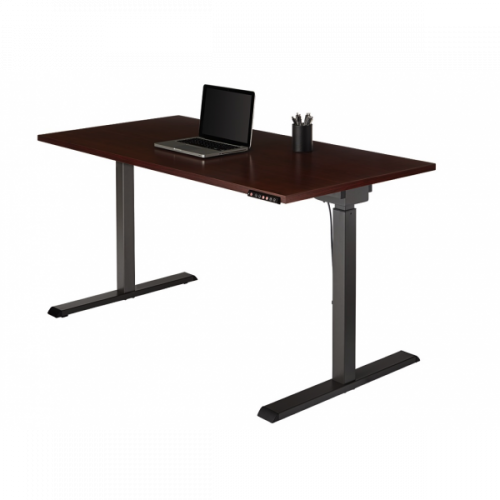 Improve circulation , productivity and energy levels to get more done with the Electric Height Adjustable Desk. Push button controls allow you to quickly and easily convert from a traditional desk to standing workstation. Electric push button controls make it easy to adjust the desk height from 30" to 47". Find the right height with fully automatic and micro adjust controls. Save 2 different height profiles for quick adjustments. 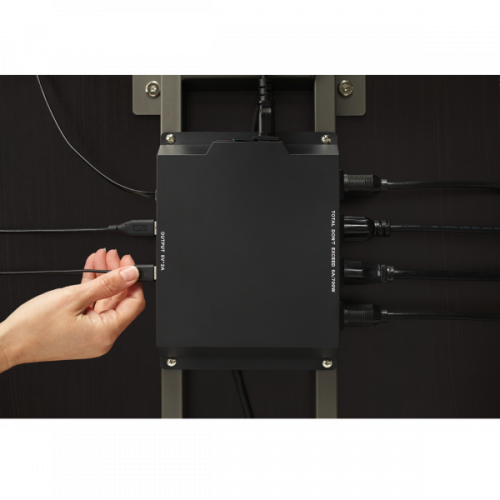 Built in power station features 4 power outlets and 2 USB connections to keep your laptop, phone and tablet charged and ready. Tough steel legs deliver strength and stability. Powder-coat finish protects against minor damage and scratches. Wood standing desk has a scratch-resistant work surface to help maintain a sleek, professional look. Sweeeeeeeet!!!!!!!!!!!!!! Thrilled to have this desk. I have been waiting to make this purchase and got a great deal from Beverly Hills Chairs. Spent some time at Beverly Hills Chairs looking at their ergonomic chairs, like the Aeron. I noticed this desk in the showroom and realized my back felt so much better after standing for 15 minutes at a time. I ordered this desk in espresso and it was super easy to assemble. The cherry goes well in our law office. Met our budget with this desk. Folks really like the usb charging ports for their phones. Really happy, I just wanted an adjustable desk that goes up when I stand and goes down easy when I sit. I also like that it has USB charging ports for my phone and ipad. The ActiveErgo Sit to Stand Desk is a versatile height adjustable desk which comes in three vibrant ..
WATCH HOW THE STANDDESK WAS CREATED HERE: https://vimeo.com/89278219 As seen in Business Insider, Ge..
Portable DesignSpace saver design with folding legsNatural Wood Laminate FinishAngle Adjustable Top ..
Studies have shown that standing for portions of the workday can provide tangible health benefits, s..